Royle's Trachydium is parsley-like plant, erect to prostrate. Tap is root long. Stem is short, up to 5 cm long. Leaves are at the base, 2-3-pinnate; segments linear. 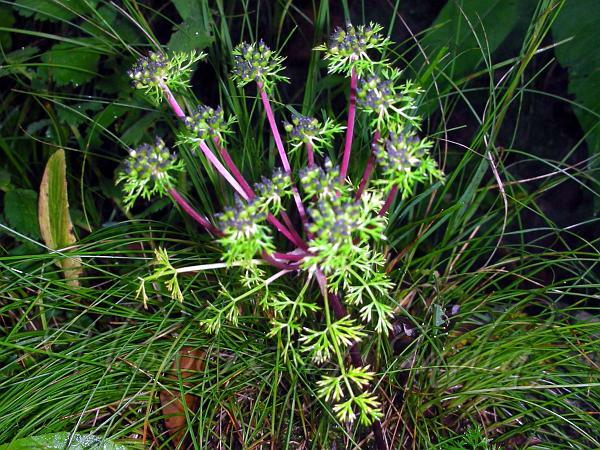 Flower-umbels are stalkless or stalked. Occasionally rays form secondary umbels. Involucre of many pinnate, leaf-like bracts. Rays are numerous, up to 15 cm long. Involucel of many pinnate bractlets, longer than the flowering umbellet. Stylopodium conical, black in fruit; styles 1 mm long, divaricate. Fruit ovate, 5 mm long, 3 mm broad; fruit wall verruculose; ridges prominent; furrows 1-vittate. Albumen sulcate. 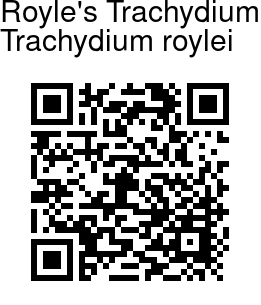 Royle's Trachydium is a plant of higher altitudes, found in the Himalayas, at altitudes of 2500-4500 m.